This Gala will take place at Orford on Saturday 13th April 2019. The gala is Licensed to ASA Laws and ASA Technical Rules of Swimming and is licensed by the ASA at Level 4, Licence Number : 4NW191272. Session 1 Warm up will be 5pm with a 5:15pm start, this will be for the 800m Mixed Freestyle Event. Session 2 Warm up will be 6:30pm with a 6:45pm start, this is for the 1500m Mixed Freestyle Event. 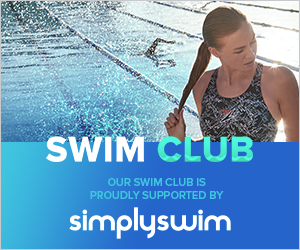 Warriors members in AA squads and above are invited to enter via the Active Passport page (previously the Active Swim Portal) Online Meet Entry (OME) system. The Entry system will go Live on Friday 1st March . The closing date for entries is midnight Sunday 24th March. Entries will be limited so its advised to enter early to avoid disappointment. Swimmers aged under 9 on the day of the gala cannot enter. Swimmers below the age of 11 as the 31st December who wish to enter this gala should obtain the agreement from Darren Ashley, our Head Coach before signing up on Active, please make sure you read Promoter`s conditions before entering . There is a £5.50 entry fee for this event. Pre-payment will be made when a swimmer is entered via the Active Passport page but not charged until the closing date. Please don`t forget to volunteer via the Active Passport or by clicking HERE, We need your support for this Long Distance Gala to run, without your help the gala will be cancelled. The Draft programme for the Long Distance Gala is below, can you please check all details are correct. If you wish to change anything or spot any errors please let me know asap.